Most of us in our electorate know a friend, family member, or colleague who has been diagnosed with breast cancer. In fact, 18,235 Australians will hear the words: ‘You have breast cancer’ in 2018. That’s 50 Australian women and men and their families who are impacted every day. 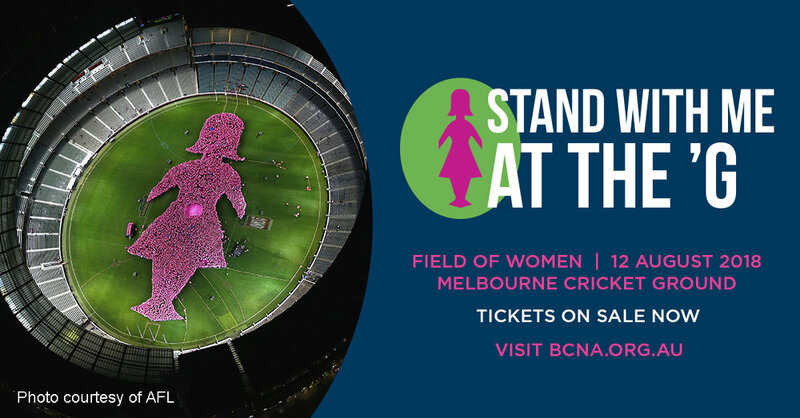 On 12 August, Breast Cancer Network Australia (BCNA) will be holding its fifth Field of Women. It’s an iconic event at the Melbourne Cricket Ground that raises funds and awareness, and supports those living with a breast cancer diagnosis. This event has been made possible with the support of the Victorian Government. Prior to the Melbourne versus Sydney Swans AFL match these breast cancer statistics will be brought to life in the shape of the Pink Lady – a symbol that has become synonymous over the years with breast cancer support. Field of Women is a family-friendly event which is open to everyone, not just those who have had a breast cancer diagnosis. This year there will be a range of family-friendly activities to take part in and enjoy. A range of travel and accommodation options are also available to support those travelling to the event, including V/Line transport for those travelling from regional areas.